Goodreads Summary: The only thing Lily wants is for her children to have a nice warm home, and to make sure her family’s diner survives. When handsome billionaire David walks in and leaves a rather generous tip, he not only helps her little family, he also gives her something she hasn’t had for a long time—hope. After the loss of his beloved wife, David moves to a small town in New York, hoping to escape the memories, along with the pressures of his life as the president of the largest ad agency in the country. The last thing he expects when he meets with his pastor is to run into the woman who will change his life forever. David is willing to shower Lily with everything she needs, but Lily isn’t sure she can handle the kindness after everything she’s dealt with in the past. Will her bad memories keep them from being able to have a future together? Or will he be able to convince her that love is what makes life worth living? I liked how it all ends on a happy note but honestly, it was too little too late. Much too late and oh, so predictable. First of all, I don't know what attracted a millionaire to what appears to be a poor single mother struggling to provide for her two children. She was very stubborn to think she could handle it all by herself. Child Welfare would have had a field day if they knew her kids were getting sick because it was so cold in their house due to no electricity and heat and no food in her cupboards! Just saying. She couldn't afford to pay her house bills because the measly money she made from her business was all going back into the Diner that she was about to lose if she didn't muster up more business. She was barely surviving and had it not been for Mr. Wonderful aka David, she would have not survived the winter. Lily was too ignorant and proud to accept David's willingness to help her though. David himself was a multi-millionaire who had recently lost his wife in a car accident and was grieving. In order to escape bad publicity and the press harassment, he heads to a small town far away from New York City. Lily and her kids were just what he needed to take his mind off of his pain. 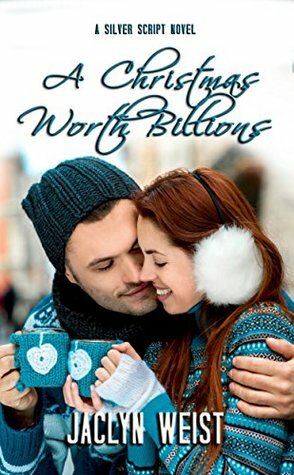 A Christmas Worth Billions didn't feel like a novella to me. It was long enough to feel it dragging on and on. Taking advantage of people's money is one thing but not accepting someone's help when they are willing to help you, doesn't make sense and well, incomprehensible to me. Besides that, it's hard to get real help when you need it. I am of the persuasion where you take what you can get. lol, It would have been really stupid for Lily to ignore David when she needed him. Duh, it was a no-brainer. 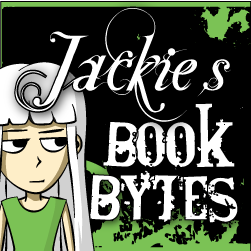 Jaclyn is an Idaho farm girl who grew up loving to read. She developed a love for writing as a senior in high school when her dad jokingly said she was the next Dr. Seuss (not even close, but very sweet). 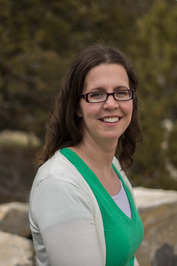 She met her husband, Steve, at BYU, and they have six happy, crazy children who encourage her to keep writing. After owning a bookstore and running away to have adventures in Australia, they settled back down in their home in Utah. Jaclyn now spends her days herding her kids to various activities and trying to remember what she was supposed to do next. Her books include the Silver Script Novels—Ring of Truth, A Christmas Worth Billions, Fashioned for Love, Change in Harmony, and Another Chance for Love, Love in Return, and Waves of Hope; and the upcoming Roping His Heart and Never Say Necklace. I can understand not wanting to take a handout and not wanting to feel like you owe someone for their help but it doesn't make sense when kids are having to go without heat. Sorry this one dragged a bit. On second thought, the generous tip would have overwhelmed me too. (David tips her a hundred dollar bill) but she was able to buy her kids warm coats and put some food in the cupboard because of it. I would have been afraid to ask for David's help too so I can't blame her for being wary. I'm glad he liked her and her children though.